Don�t miss out on the fun as the GSI team (Girl Scout Investigators) work together to unlock the mystery! Girls may participate by selling delicious nuts and candy to friends and family, by taking part in the online email and subscription ordering activity and/or by filling out ten addresses in a Step 2 booklet. 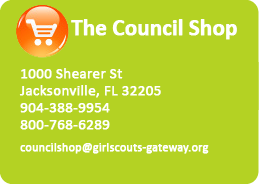 Now is a great time for girls to send emails to friends and family reminding them that they will once again be able to order or renew their magazine subscriptions while supporting Girl Scouts of Gateway Council and to expect an email telling them all about it very soon! Want to order products from the sale?